Today we have published the interim report. Read the Swedish press release translated into English here. The report is available for download, in Swedish only, under Investor Relations. “The work on our full-scale turbine SeaTwirl S2 is progressing well and we are making headway in all parts of the projects. We are with our solution and competence an attractive cooperation partner, which during the period manifested itself in several new collaborations, among them Siemens. Our industry, floating wind power, are experiencing tail winds and we have a solution that gives us good reasons to be optimistic about the future”, says CEO Gabriel Strängberg. Turnover was 0 SEK (0) and the operating result was -1 171 479 SEK (-635 595). The negative result is attributable to development costs, including personnel cost. Balanced development cost amounted to 13 343 786 SEK at the end of the period (10 785 329), in addition to patent costs of 924 619 SEK (663 773). Cashflow for the period amounted to -2 368 393 SEK (-1 267 080). Cash amounted to 12 232 377 SEK (19 574 762) at the end of the period. (-642 151). No changes other than the result for the period and transfer to Fund for development costs has affected the shareholder’s equity during the third quarter. “Our work on SeaTwirl S2, our full scale 1 MW wind power turbine set for launch in 2020, is progressing well and we are making headway on all the major components in the project: turbine, generator housing, electrical system, subsea component and anchoring system. We put a lot of effort into making technical solutions scalable and are also focusing extra on the installation, an area where vertical axis turbines with their low centre of gravity can cut big costs and minimize big risks compared with a traditional turbine. While we continue to work on the calculations and the construction, we’ve entered a phase where we more and more are looking for collaborations outside our company. Tangible results during the period are our strategic partnership with Siemens and our research collaboration with Chalmers and RISE within the framework of the Swedish Wind Power Technology Centre. We also signed a LOI (Letter of Intent) with two other specialist companies with the aim of together be able to offer selected niche markets renewable energy, which could be a quicker route to market. Our market floating wind power, while still in its infancy are experiencing significant tailwinds. That was evident from the positive vibe present during the floating wind power conference FOWT 2018 that we visited in Marseille in April. 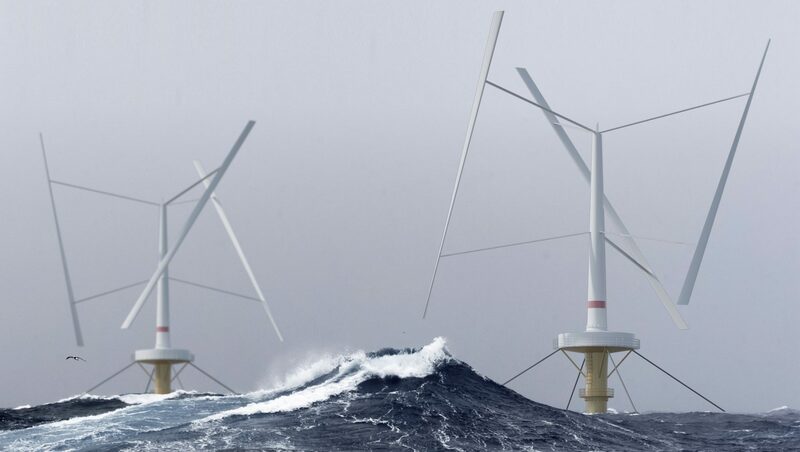 The strong wind conditions further offshore and the lack of shallow waters gives floating wind power every possibility to become a major factor in a renewable energy system. It is now up to the industry to come up with solutions that are cost efficient enough to realize that potential. SeaTwirl, which has been specifically designed for floating, is well positioned to become a leader. In parts of the project – first and foremost generator configurations and electrical systems – we are now working together with our strategic partner Siemens to design cost efficient and robust solutions. We are very happy to have Siemens with us and we see their interest in us as an external confirmation that we have a very exciting solution. Our innovative design and very competent team are attracting interest, which can be seen in our cooperation with Chalmers and RISE within the framework of the Swedish Wind Power Technology Centre. Collaborations with others will help us as we work to realize our vision of breaking into the energy market with the most cost-efficient solution. That’s why we will continue to meet with potential partners to discuss different collaborations. Everyone we meet is optimistic about the future of floating wind power and I think that we, with our in every aspect cost efficient design, have good reasons to be extra optimistic. As I conclude, I want to thank everyone who visited our investors’ day in Lysekil on June 19th and the whole team for their efforts.